I love when I get to meet fellow photographer's and all around wonderful people! Emily and Austin wanted a unique way to remember their Hawaiian vacation so we went on an adventure! 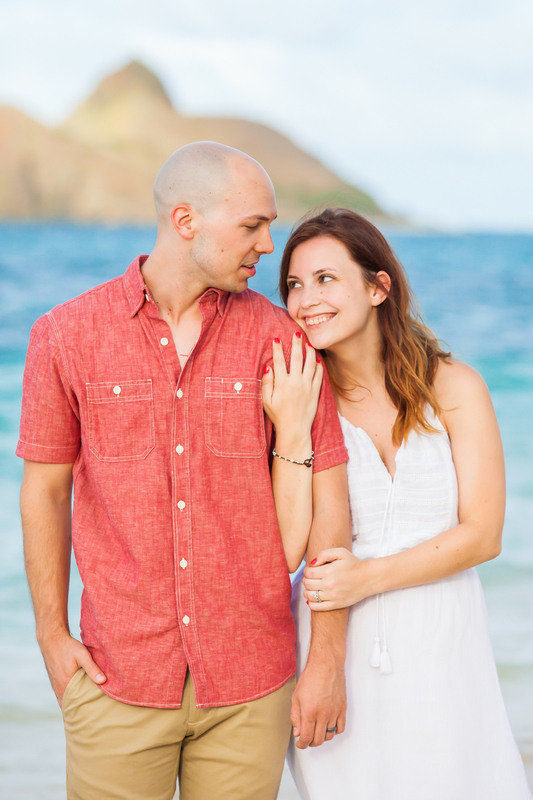 Beginning with a classic beach photo session, we bobbed and weaved our way through the sea of beach goers at Lanikai Beach to snap these gorgeous photos. After we trekked our way up the Pill Box Hike to end their session with a stunning view of the coast. The weather was perfect, the sunset stunning, and the couple beautiful! To learn more about a photo session like this one visit the Adventure Seekers page!